The Corruption and Crime Commission also found issues with the disciplinary regimes for prison officers. 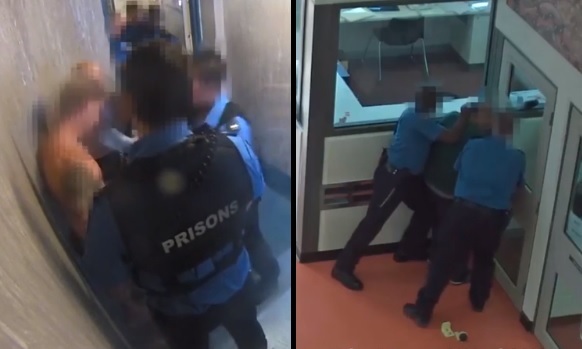 The investigation the Corruption and Crime Commission to demand an overhaul of training for prison officers to ensure use of force incidents do go unreported and are accurate. The Corruption and Crime Commission also asked the Department of Justice to enact stiff penalties on officers who intentionally give false statements. The reports are the result of a major investigation by the Corruption and Crime Commission which they released Tuesday. The reports exposed how a handful of officers were involved in smuggling contraband like cash and drugs in and out of the prisons. Fran Logan, the Corrective Services Minister, dismissed the reports arguing the illegal activity was only the result of a "few bad apples". Logan said, "There are several measures underway to improve searching practices, grooming of prison officers and drug use within WA jails, which will be announced in due course." While officials at the top tiers of the prison industry in Australia are working to assure everything is fine, those with a finger on the pulse of the industry like WA Prison Officers' Union Secretary Andy Smith said the country's prisons are vastly understaffed. "The prison system is currently stretched to bursting point in all aspects, which places prison officers under extreme pressure, particularly when they are dealing with some of the state’s most dangerous and difficult people for up to 12 hours a day," Smith said. The message here in Australia is don't go to prison if you know whats good for you!